Martin, a brave and much loved mouse warrior, is happy with his life at Redwall. Helping to design and build the abbey has been a wonderful experience for him. Then a visitor arrives at Redwall who sings a song. The words tell a tale and it is this story which leaves Martin feeling lost and upset. 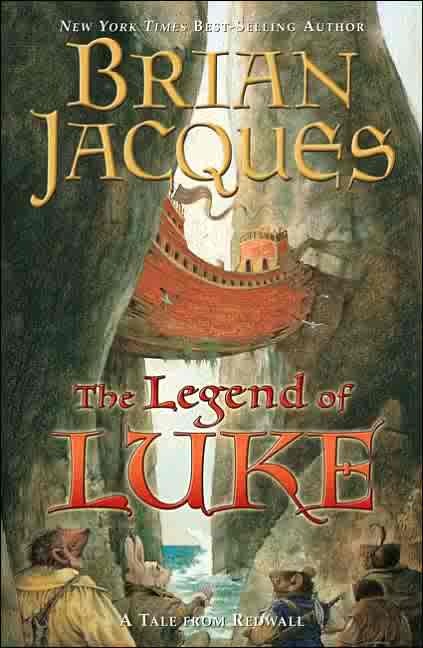 It is the story of Luke, a warrior, who sailed on a ship called the Sayna and who set off on a quest. Martin knows that the song is about his father, Luke, whom Martin watched sail off one day and whom he never saw again. Martin wishes more than anything to journey to the northland shore to try to find his father. With the companionship of Trimp the Hedgehog, Dinny Foremole, and Martin's dearest friend Gonff the Prince of Mousethieves, Martin is soon leaving the walls of Redwall behind to begin an extraordinary journey. On the way he meets and makes friends with all kinds of creatures who help him and his friends on their way and who also save them from some decidedly sticky situations. After much travel Martin and his friends find the wreck of a red ship stuck between two rocks on the coast. Living in the ship are an old hare and a grey furred mouse. It is from these two that Martin hears the true story of what happened to his father and how Luke pursued Vilu Dasker, the evil pirate stoat. Luke was seeking vengeance for the death of his wife and in the end he triumphed over his enemy. This stirring story about Martin and his courageous father is sure to delight fans of the Redwall books. Once again Brian Jacques has created a cast of characters who are vivid and who draw the reader in. A ridiculous hare with a tremendous appetite, and a squirrelmaid warrior with a stout heart and great bravery add humor and power to the story.